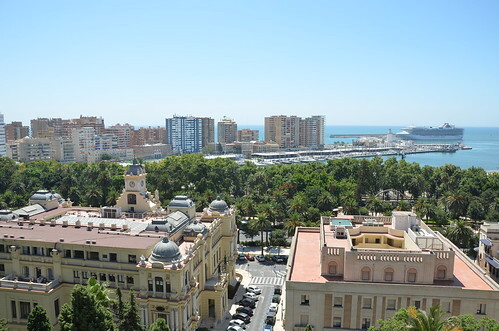 Tourists who want to spend their holidays on a sightseeing trip or immerse on a city with an old heritage visit Malaga, Spain, a port city in the Andalusia. This is well known for tourists and travelers not only around Europe, but around the world as well. During the summer months, students troop to Malaga to attend language course and learn to speak Spanish. Malaga is a city of culture, and not just beaches and parties. Sites to visit include the Picasso Museum where you can see the oldest architectural remains of the Phoenician city still visible on the museum’s basement. There is also the Roman Theater, which dates back from 1st century BC and was rediscovered in 1951. For lovers of architecture, the Paseo de Reding is a good place for a stroll and have to lunch amidst traditional houses that dates back from the 20th century. If you want to scour the city for souvenirs, you should see Calle Marqus de Larios, named after a 19th century businessman, to find numerous shops, businesses, and restaurants. The Plaza del General Torrijos is the major connection of the loveliest areas of the city as the vantage point to see the Alcazaba, the Puerta Oscura gardens and La Coracha, the Paseo del Parque, and Paseo de la Farola. There are so much remarkable sights to visit like the Baños del Carmen for bathing, the Casa del Guardia, and Jardin Botanico, and all you need to get there is book cheap flights for Malaga, so you have more money to burn to explore the city. Book cheap flights to malaga and plan your holiday. The Malaga Bull fighting Museum shows different examples of bull fighting articles as well as an in depth guide about the history of bull fighting in Malaga and the rest of Spain.